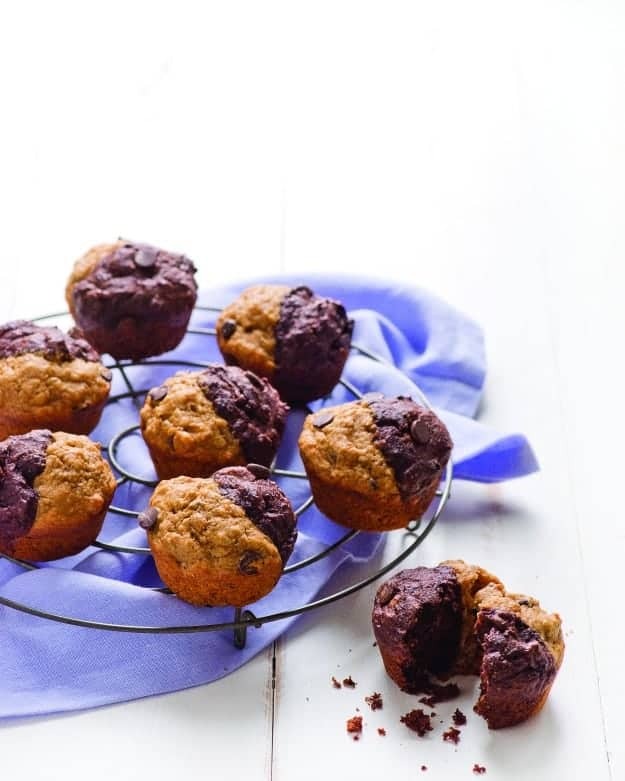 March Muffin Madness continues with a recipe for gluten-free Chocolate Banana Split Muffins with today’s giveaway prize being several copies of the brand new cookbook in which this recipe is featured—Eat Dairy Free. I’m all about chocolate and banana “splits” so let’s get to this delicious muffin recipe, learn more about its creator, and then move on to today’s giveaway and the overall grand prize giveaway, both farther down in this post. 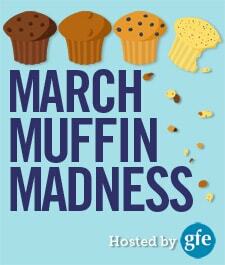 See the whole lineup of bloggers, blogs, and muffin recipes here. 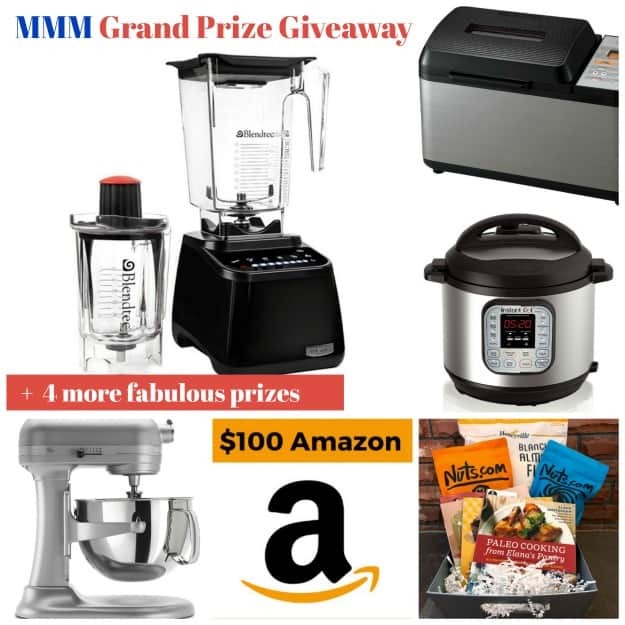 Be sure to leave a comment on today’s post to enter the grand prize giveaway that will be conducted on Wednesday, April 11, and includes a muffin pan, Gluten Detective test kits, NuNaturals gift package, Legit Bread Company gift package, Elana’s Pantry gift package, $100 Amazon gift card, Instant Pot, Zojirushi breadmaker, KitchenAid 6-qt lift stand mixer, and—the grand prize!—Blendtec high-speed blender package! Please remember that EVERY comment in MMM (only one comment per post, please) will be an entry for the final giveaway, so if you’ve missed some posts, take a moment to visit each and leave a single comment so you’ll get the maximum entries in. Again, you can see a listing of all the posts here. My good friend Alisa Fleming who writes Go Dairy Free and I “met” before I actually started writing gfe! 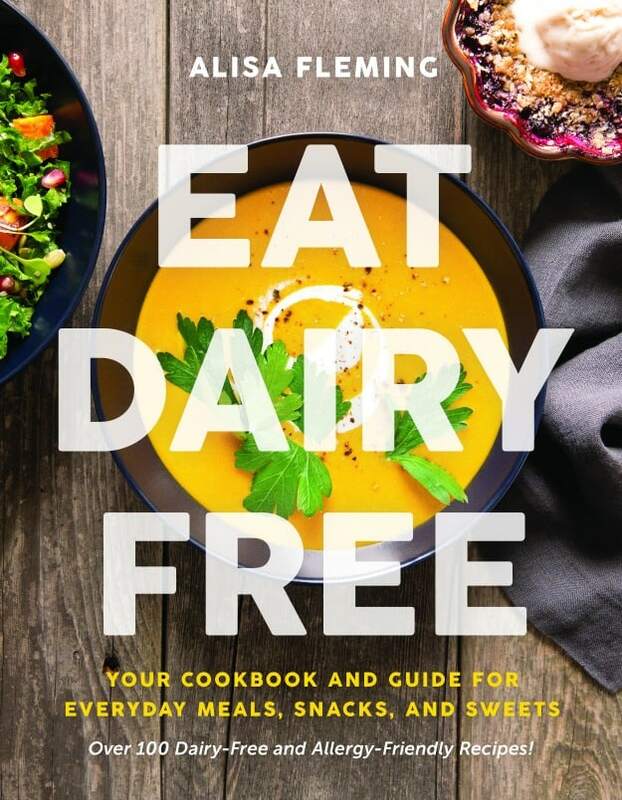 In the early days of leading my gluten-free support group (which has since been retired), she sent me her first book, Go Dairy Free: The Guide and Cookbook for Milk Allergies, Lactose Intolerance, and Casein-Free Living, to share with my group. I was so impressed with the wealth of knowledge shared and the recipes included that I asked Alisa to speak to my group. She did, via phone, and it was her first such presentation. (That shows you how long ago it was—before video calls/presentations became routine.) Many in my group were dairy free as well as gluten free and the information Alisa shared was invaluable to them. Today Alisa is one of the most widely recognized dairy-free and allergy-free resources. She is a frequent presenter at allergy-free blogging conferences and provides contributing and editorial support to such respected publications as Allergic Living (which is my favorite magazine for living gluten free and “more free”). Alisa does all that in addition to writing and operating her own site, which is a wealth of information and outstanding recipes. Alisa is a prolific recipe creator! Preheat your oven to 350.F and grease 12 muffin cups (do not grease if using silicone), or line them with cupcake liners. In a medium bowl, whisk together the flour, starches, xanthan gum (if using), baking powder, baking soda, and salt. Stir in the chocolate chips. In a mixing bowl, beat the banana, sugar, water, oil, and vanilla with a hand mixer until relatively smooth. Add the dry ingredients to the bowl, and stir until just combined. Do not overmix; a few small lumps are okay. Transfer half of the batter to the flour bowl and stir in the cocoa powder; use 2 tablespoons for a lighter chocolate or 3 tablespoons for more intense chocolate flavor. Using 2 separate spoons, fill each prepared muffin cup half with the chocolate-banana batter and half with the plain banana batter (roughly side by side). Bake for 20 to 24 minutes, or until a toothpick inserted into the center of a muffin comes out clean. Let cool for 10 minutes in the cups before removing the muffins to a wire rack to cool completely. Store in an airtight container at room temperature for up to 2 days, or individually wrap the muffins in plastic wrap and freeze to enjoy later. To make with unrefined sweetener, substitute ½ cup coconut sugar or evaporated cane juice for the brown sugar. The muffins will be a little less sweet. To compensate, I sprinkle a little extra sweetener on the muffin tops before baking. The crunchy topping adds a nice touch of sweetness without excess sugar. Banana-Blueberry Muffins: Omit the chocolate chips and cocoa powder. Stir 1 cup blueberries into the flour mixture, to coat, before adding the flour mixture to the wet mixture. High-Altitude Adjustment: Above 3,000 feet, reduce the baking powder to 1/2 teaspoon. This recipe is reprinted with permission from Eat Dairy Free: Your Essential Cookbook for Everyday Meals, Snacks, and Sweets by Alisa Fleming (BenBella Books, 2018). Photo by Nicole Axworthy. This cookbook is Alisa’s brand new cookbook and it’s terrific! All recipes are—or have fully tested options for—gluten free, egg free, peanut free, and soy free. And 90% of the recipes are nut free. I’ve flipped through Alisa’s beautiful new cookbook and there’s not been a single recipe that I don’t want to make! To enter the giveaway for this cookbook, simply leave a comment on this post saying why you’d like to win. Remember that your comment on this post also gives you another entry into the grand prize giveaway! Read more below. You’ll probably want ALL the prizes! Winners for prizes featured throughout MMM will be selected on Wednesday, April 11, at midnight Eastern. All MMM giveaways are open to everyone, everywhere! This looks like an excellent new cookbook with lots of 5 star reviews. Would be a wonderful addition to my cookbooks! I would love to win this book. I have been lactose intolerant for 19 years and gluten free for 17. I love recipes and baking and would love to try these new recipes! I love that the book does not rely on store-bought substitutes. Thanks for the chance to win. I have someone that has to be DF,GF, and now low carb. Yikes! Trying to make the switch to DF with a few of my family members. Would love this cookbook to make the transition easier for them. I love Alisa, and I have been eyeing her cookbook!! Thanks for the chance! I love the half and half look of the muffins, a fun idea! I love when someone has done all the experimenting and has come up with some winner recipes- these banana split muffins look wonderful as does the Dairy Free Cookbook.. I like that a lot of recipes on this site contain ingredients I have, so u can spontaneously bake any hour of the day. This cookbook looks great! I have sensitivity to gluten, soy and peanuts so it’s right up my alley. I need all your muffin recipes as we are about to embark on a family adventure. I would love to win this cookbook as I have to be dairy free, soy free, and gluten free. Sounds good to me! Just made these with my 3 year old and they are in the oven! Can’t wait to taste them! Super easy recipe with all ingredients on-hand. Thank you from a mama with gluten free and dairy free kids!! Another muffin Thats egg free nut free and dairy free!!! So great!! I would love this cookbook because I have one of Alyssa’s older books and it’s like my dairy free bible! I was diagnosed with celiac in 2009 so I’m pretty much a pro and cooking gluten free but when my son was diagnosed with egg nut peanut and dairy allergies over a year ago, it’s conpletely changed the way I needed to cook for my family. I’m definitely trying this recipe!! I’m dairy-free myself, and love it when I find recipes that I don’t have to modify for my diet! I would love to win this because my children have a hard time digesting dairy. I think I signed up for the Go Dairy Free emails from one of your posts before. Banana and chocolate are a great combination. We had banana cake with chocolate mousse filling as one of our wedding cake layers 25 years ago! Appreciate the dairy free focus and the recipe variations. Thanks again for the chance to win the Blendtec, as well. I love an idea of this cookbook that I don’t need to use specialty alternative to make allergy-friendly foods for everyone! Yay for a dairy free recipie, thanks! These look so good Alisa! Chocolate and banana is an awesome combination! This looks like a really neat cookbook! It would be amazing to win this cookbook. yuuuuuuum! and they look so cool, too! With a dairy, gluten, and soy allergy – this would be a great cookbook to win! You can never have too many cookbooks, or kitchen gadgets….